Sony - SDT-5010 SONY - 4/8GB DDS2 4MM SCSI/SE INTERNAL TAPE DRIVE (SDT-5010). IN STOCK. SAME DAY SHIPPING. 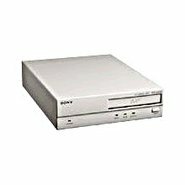 Sony - SDT-5000 SONY - DDS2 DAT 4/8GB SCSI INTERNAL TAPE DRIVE (SDT-5000). IN STOCK. SAME DAY SHIPPING. 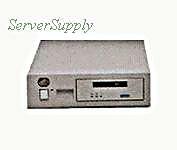 Hewlett Packard - C1529H HP/COMPAQ - SURESTORE DAT8E 4MM DDS2 EXTERNAL SCSI (C1529H). IN STOCK. SAME DAY SHIPPING. IBM - 21H5154 IBM - 4/8GB DDS2 4MM DAT SCSI/SE INTERNAL TAPE DRIVE (21H5154). IN STOCK. SHIP SAME DAY. 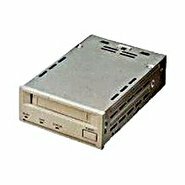 Hewlett Packard - C1529K HP/COMPAQ - SURESTORE DAT SCSI-2 SINGLE ENDED 8E 4/8GB DDS-2 EXTERNAL TAPE DRIVE (C1529K). IN STOCK. SAME DAY SHIPPING. Hewlett Packard - C1599A HP/COMPAQ - 4/8GB DDS2 DAT 4MM 3.5 INTERNAL TAPE DRIVE (C1599A). IN STOCK. SAME DAY SHIPPING. Compaq - COMPAQ 4/8GB INTERNAL DAT P/N: 242896-001 SCSI DDS2 DRIVE. SAME AS C1539-00485 295163-001. Hewlett Packard - CTL96G-S SEAGATE - 48/96GB DDS-2 INTERNAL AUTOLOADER(CTL96G-S). IN STOCK. SAME DAY SHIPPING. Hewlett Packard - 122874-001 HP/COMPAQ - 4/8GB DDS2 INTERNAL DAT TAPE DRIVE (122874-001). IN STOCK. SAME DAY SHIPPING. 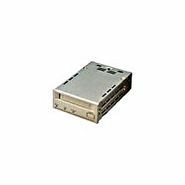 Seagate - STD18000N SEAGATE - 4/8GB DDS-2 DAT SCSI/SE INTERNAL TAPE DRIVE (STD18000N). IN STOCK. SAME DAY SHIPPING. 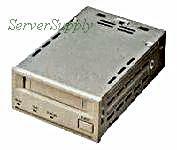 Hewlett Packard - C1539A HP/COMPAQ - 4/8GB 4MM DDS-2 SCSI INTERNAL TAPE DRIVE (C1539A). IN STOCK. SAME DAY SHIPPING. IBM - 21H5172 IBM - 4/10GB 4MM DDS-2 SCSI/SE INTERNAL TAPE DRIVE (21H5172). IN STOCK. SAME DAY SHIPPING. IBM - 09L5290 IBM - 4/10GB DDS-2 4MM SCSI/SE INTERNAL TAPE DRIVE (09L5290). IN STOCK. SHIP SAME DAY. IBM - 59H3481 IBM - FC6142 4/8GB 4MM DDS-2 RS/6000 SCSI/SE INTERNAL TAPE DRIVE (59H3481). IN STOCK. SAME DAY SHIPPING. 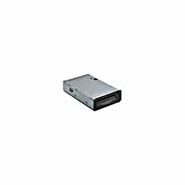 Sony - SDT-7000 SONY - 4/8GB DDS-2 4MM DAT SCSI INTERNAL DRIVE (SDT-7000). IN STOCK. SAME DAY SHIPPING. 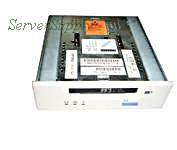 IBM - 59H3536 IBM - 4/10GB 4MM DAT DDS2 SCSI/SE INTERNAL TAPE DRIVE (59H3536). IN STOCK. SHIP SAME DAY. Dell - 65776 DELL - 4/8GB DDS-2 DAT F5 INTERNAL TAPE DRIVE (65776). IN STOCK. SHIP SAME DAY. 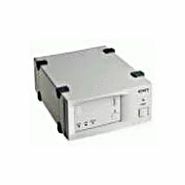 Hewlett Packard - C1529F HP/COMPAQ - SURESTORE DDS-2 DAT 4/8GB SCSI EXTERNAL TAPE DRIVE (C1529F). IN STOCK. SAME DAY SHIPPING. Sony - SDT-5200 SONY - 4/8GB 4MM DDS-2 DAT INTERNAL TAPE DRIVE (SDT-5200). REFURBISHED. IN STOCK. SHIP SAME DAY. 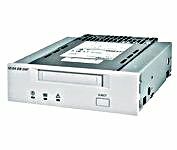 Seagate - STD28000N SEAGATE - 4/8GB DDS-2 DAT SCSI/SE INTERNAL TAPE DRIVE (STD28000N). REFURBISHED. IN STOCK. SAME DAY SHIPPING. Seagate - STD68000N SEAGATE - 4/8GB DAT DDS-2 SCSI/SE EXTERNAL TAPE DRIVE (STD68000N). IN STOCK. SAME DAY SHIPPING. IBM - 42H2362 IBM - 24/48GB 4MM DDS-2 SCSI/SE INTERNAL AUTO LOADER TAPE DRIVE (42H2362). IN STOCK. SHIP SAME DAY. Sony - SDT-S7000 SONY - 4/8GB DDS-2 4MM EXT. SCSI/SE TAPE DRIVE (SDT-S7000). IN STOCK. SAME DAY SHIPPING. Sony - SDT-D7000 SONY - 4/8GB DDS-2 DAT SCSI SE EXTERNAL TAPE DRIVE (SDT-D7000). IN STOCK. SHIP SAME DAY. IBA - 42H2359 IBM - 24/48GB DDS-2 SCSI/SE INTERNAL AUTO LOADER TAPE DRIVE (42H2359). REFURBISHED. IN STOCK. SHIP SAME DAY. 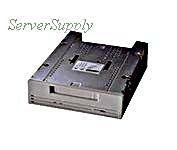 Dell - 89610 DELL - 4/8GB DDS2 DAT SCSI/SE INTERNAL TAPE DRIVE (89610). IN STOCK. SHIP SAME DAY. 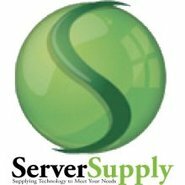 Sony - SDT-7200 SONY - 4/8GB DDS-2 4MM SCSI/SE INTERNAL FH TAPE DRIVE (SDT-7200). REFURBISHED. IN STOCK. SHIP SAME DAY. IBM - 7206-005 IBM - DDS2 4/8GB 4MM SCSI EXTERNAL TAPE DRIVE (7206-005). IN STOCK. SAME DAY SHIPPING.